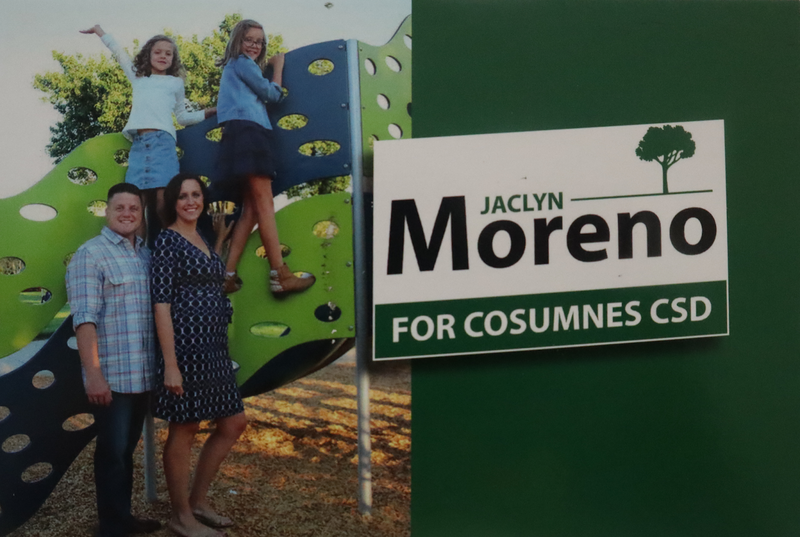 In a throwback to bygone days, Jaclyn Moreno deployed a new twist in her initial mailer in the race for the Cosumnes Community Service District board of directors. That mailer used by the Moreno campaign was a postcard. 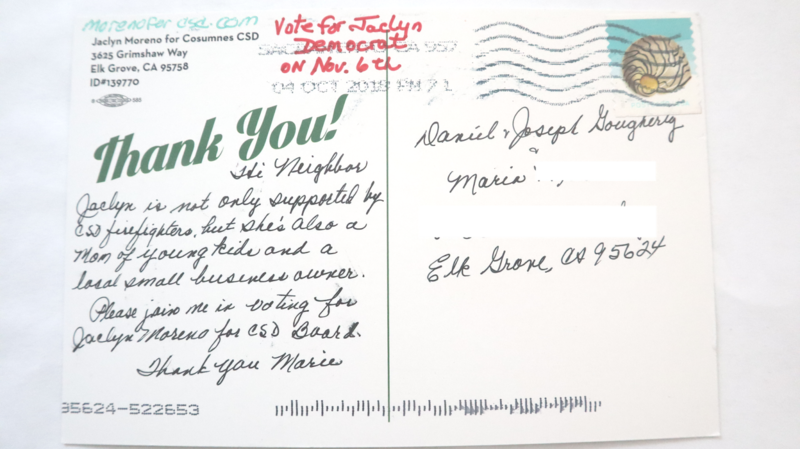 While postcards are not unique, receiving a postcard with a personalized handwritten note and address is a new wrinkle in modern day political mailings. The mailer, which arrived today, also had a handwritten address. Based on this single postcard and the voter names addressed, this particular address was most likely culled from a list of registered Democratic voters. According to Moreno, the postcards were handwritten by a cadre of campaign volunteers. Moreno notes other candidates like Jessica Morse who is challenging Republican Congressman Tom McClintock for California's 4th district is using similar communication methods. Based on the content of the note, the volunteers are undoubtedly working from a script. Nevertheless, Moreno has used the next best method to a front door visit to grab the attention of likely voters. Moreno is one of four candidates seeking two at-large seats on the five member CCSD Board of Directors. The other candidates are Jerry Braxmeyer, Koi Rivers and incumbent Rod Brewer.